Hola Amigos! 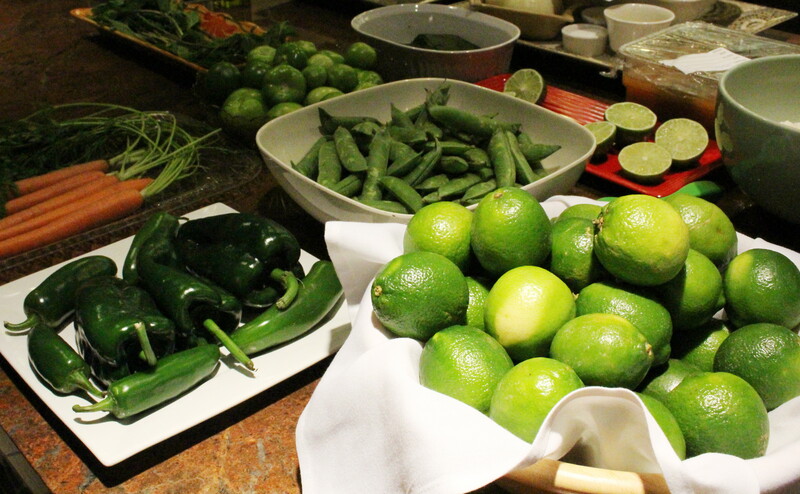 Today is Cinco de Mayo–a holiday dedicated to celebrating Mexican pride and heritage. 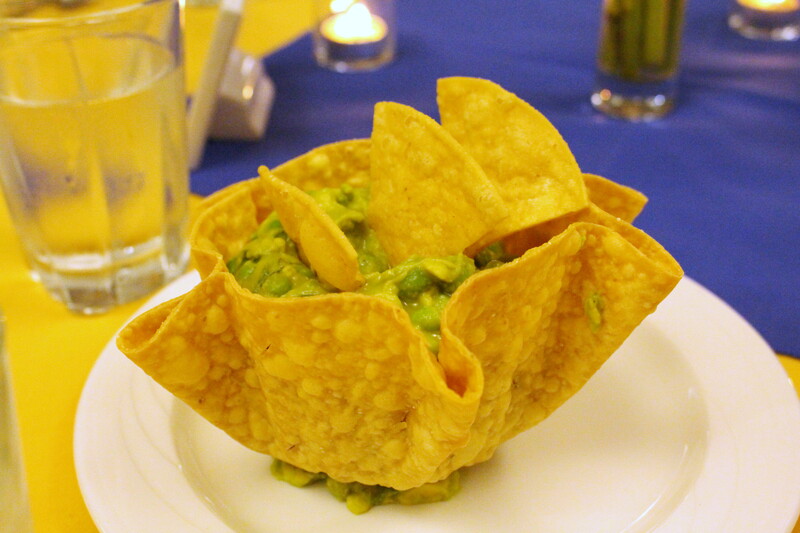 What better way to commemorate the occasion than with this updated twist on a traditional favorite: guacamole. This recipe comes from celebrity chef Joanne Weir, and is a popular menu item at her hot new Mexican-themed Sausalito restaurant, Copita (*recently voted 2014 Best Mexican Restaurant in the Bay Area). Not only is her version super tasty, it’s lighter in calories and higher in fiber than regular guacamole. The secret ingredient: sweet spring peas! As luck would have it, peas are currently at the height of their season. Classic English peas are a great choice for this recipe. They are high in essential phytonutrients, antioxidants, good omega-3 fatty acids, and fiber–making them nutritious and healthy. Though shucking these tender green orbs from their pods is labor intensive, the result is well worth the investment (although if I’m pressed for time I’m willing to pay a premium for peas that are already sans pod). Using peas to replace some of the avocado in this guacamole gives it a brilliant green color, chunkier texture, and more fiber. There are also fewer calories and less fat in the finished dish–without compromising a lick of flavor. Serve this dip with tortilla chips (and a margarita for good measure). Ole!! Bring a pot of salted water to a boil. Add the peas and simmer for 1 minute. Drain and cool. Peel and pit the avocados; place in a bowl. Mash roughly with a fork. Add the peas, garlic, red onion, cilantro, jalapeño, and lime juice to taste. Season with salt. Place the guacamole in a serving dish and make a well in the center of the dip. Generously drizzle with olive oil and serve with tortilla chips. 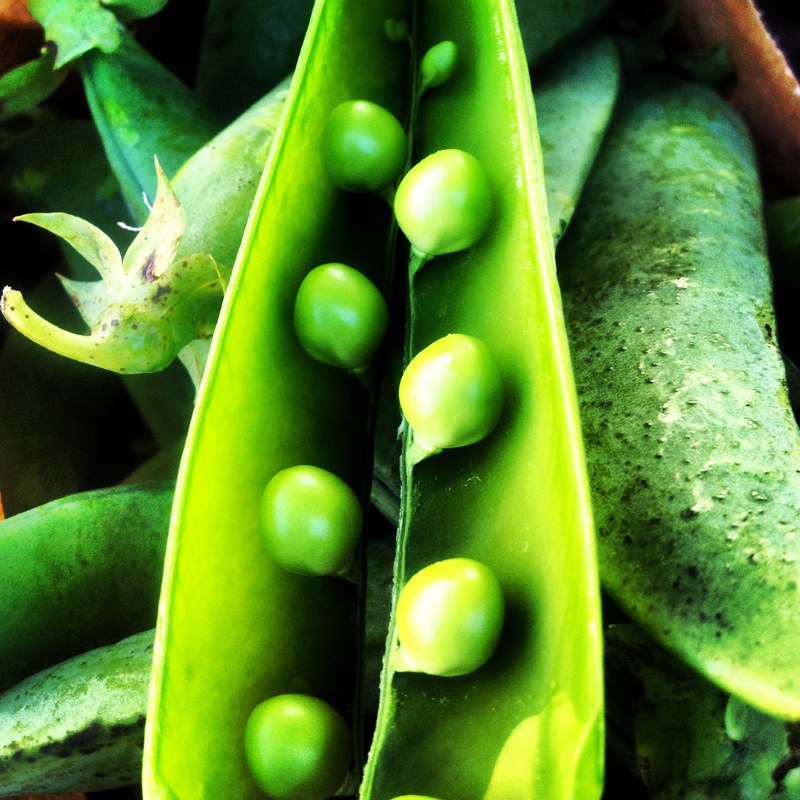 Your photos make me what to head to the market to peas. Beautiful photos of a good sounding guacamole. Mouth wateringly delicious looking. Being in Germany at the moment the very sight of this recipe salivate. May try it out. Thanks for sharing!